Kilauea is located on the east end of Kauai’s north shore. It formally was a sugar plantation and then a guava plantation town. Kilauea’s most famous landmark is the Kilauea Lighthouse and the Kilauea Point National Wildlife Refuge. Kilauea has a town center, which includes a post office, medical center, pharmacy, elementary school, park, gym, and a variety of small restaurants shops and businesses. Kilauea is also known for it’s stone building architecture. Although no longer a plantation town, there are still a number of farms in Kilauea with the community placing an emphasis on organic farming. Fruit stands and farmers can often be found on the side of the road selling their produce. Kauapea or Secret Beach, Kalihiway Bay and Kahili or Rock Quarry Beach are the main beaches in the Kilauea area. Kalihiwai Bay is the most accessible as access to the other beaches may require some hiking. The Kilauea area has a number of affordable subdivisions such as Kilauea Gardens, Puu Lani subdivision, Old Mill subdivision, Kilauea Twin Roads subdivision and Kilauea Estates. Kilauea is also known for its large Agricultural Estates, namely Kahili Makai, Kilauea Farms, Kalihiwai Ridge, Pali Namahana, Puu Pane, Seacliff Plantation, Wailapa and Waipake. 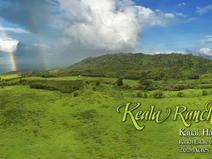 Seacliff Plantation is one of Kauai’s only gated communities.